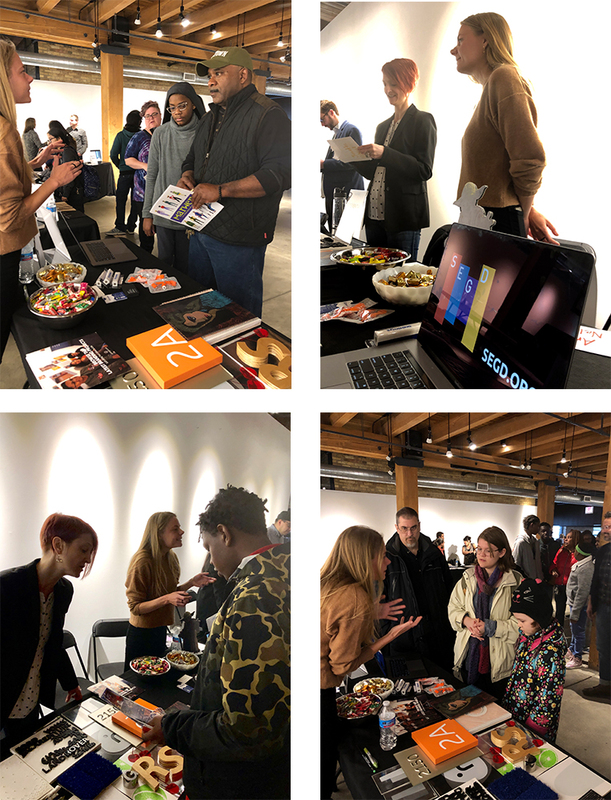 Carol Naughton + Associates, Inc.
Chicago Chapter co-chairs Joe Lawton and Anna Nelson, along with account manager Josette O’Neil (Cushing), recently represented SEGD in a career fair hosted by Marwen. 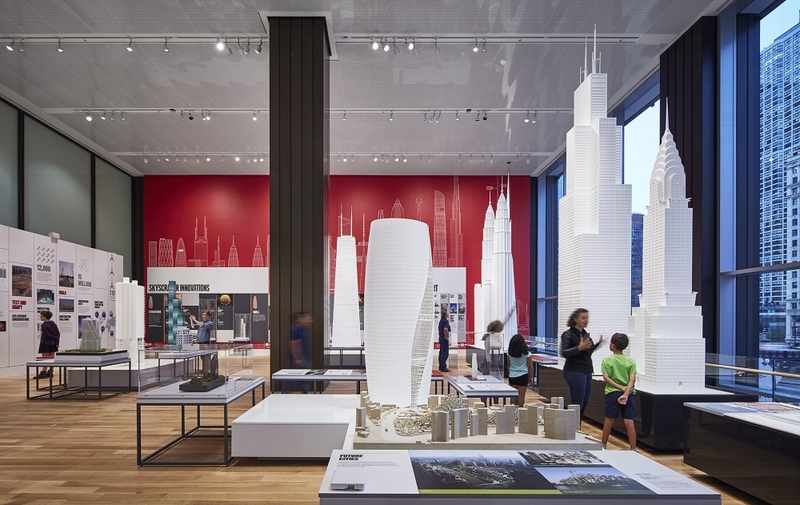 Marwen is a local organization that provides free visual arts, college and career programming for Chicago’s young people from under-resourced communities and schools in middle through high school. There were over 40 different creative fields represented and both the students and their parents were intrigued to learn about opportunities for creatives in the EGD community while thumbing through material samples and mock-ups from local vendor partners. Our involvement was a great way to connect with students. For anyone interested in volunteering in a community arts-based program, we’d definitely recommend checking out Marwen! Immortalize yourself with a 3D selfie at our upcoming event with BluEdge where they’ll demonstrate their cool 3D scan and print capabilities with a create-your-own-mini experience! We’ll mingle, take a look behind the scenes, have a prize raffle for an Apple iPad, and then we’ll get scanned for our eerily accurate 3D selfies. Once they ship, you can set them on your desk, or use as a decoy – the possibilities are endless! This event is fully catered with food and drinks, so grab a coworker and come chill with us.